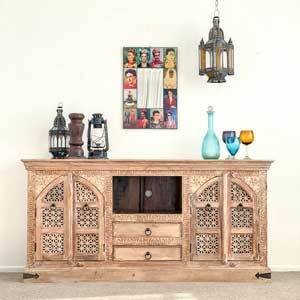 At Exotic Imports, it's important to us to purchase handcrafted products made by skilled artisans. 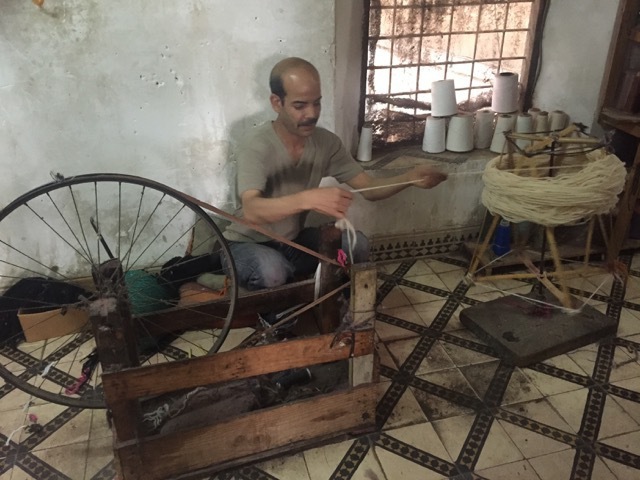 Handcrafted goods have a certain charm about them which is not possible to create with machined goods and it provides important employment for thousands of people which could otherwise be out of work if made by machine. 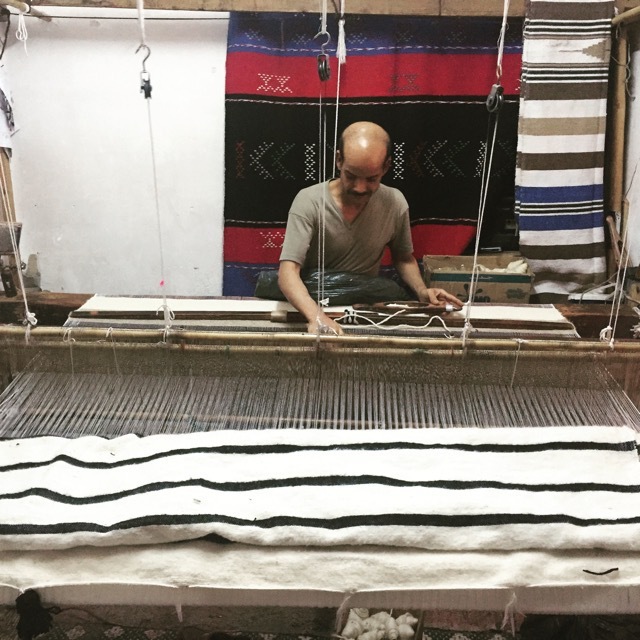 It's a beautiful thing to watch skilled artisan plying their trade and turning brass sheets into stunning lanterns, raw wool into fabulous rugs, pom pom blankets or throws, timber into fabulous furniture. 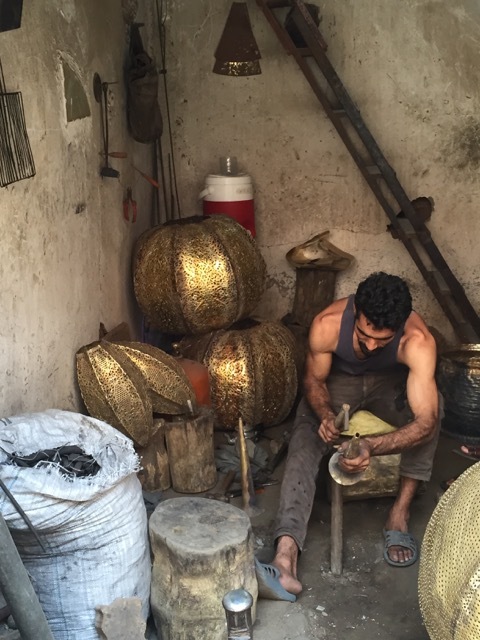 Artisans Crafting Brass Lanterns: the hammering method. 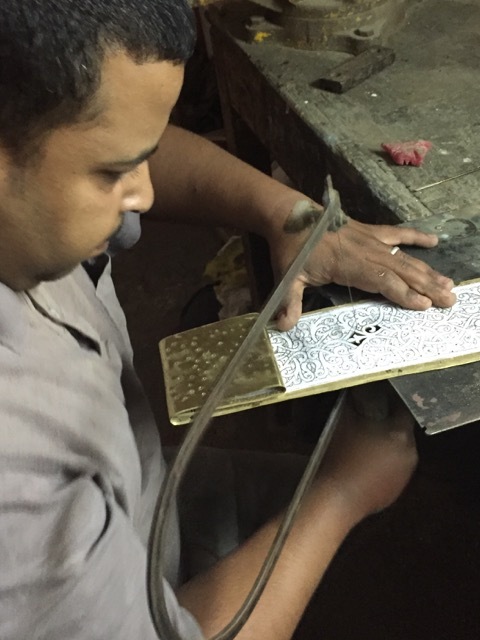 In certain parts of the souqs you are sure to hear the familiar battering of hammer against brass as the artisans beat it into shape. The creations they make are nothing short of incredible. It's a very time consuming technique. This is the hammering method of punching holes into the brass. 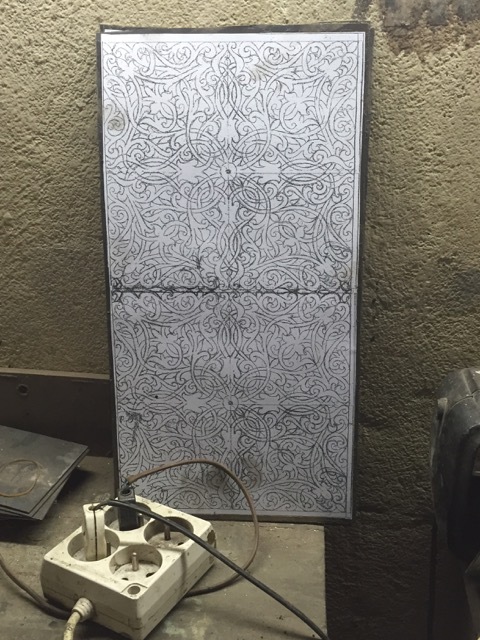 Here we see a craftsman producing a stunning wall sconce which lets out beautiful filigree patterns. Beautiful ambient lights. Everything is done by hand. Right from hand shearing the sheep, to spinning the wool, hand looming the blanket and making the pom poms to go on each end. 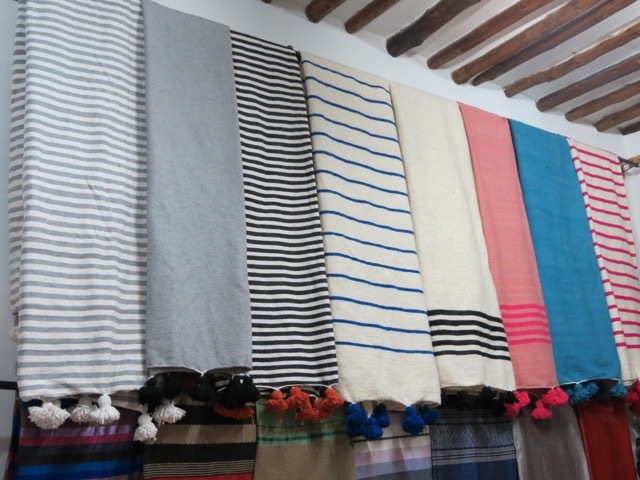 These beautiful blanket are full of artisan produced character. 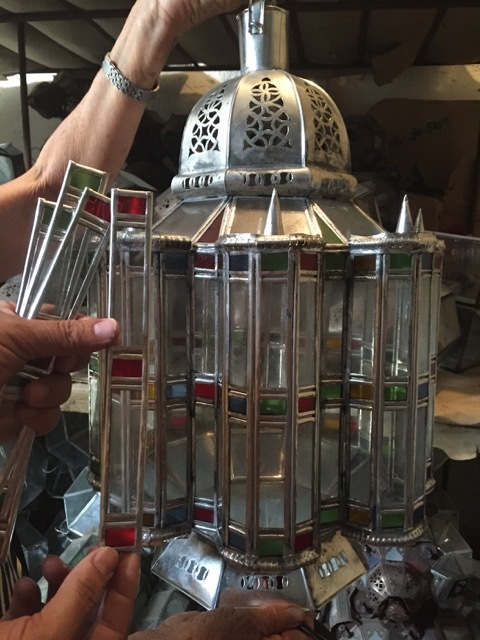 Making Tin Lanterns: A time consuming process. Making tin lanterns. 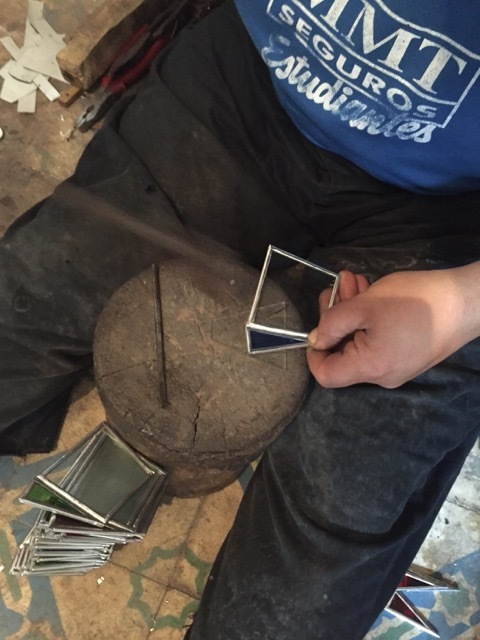 Each piece of the lantern has to be individually cut out then soldered together. 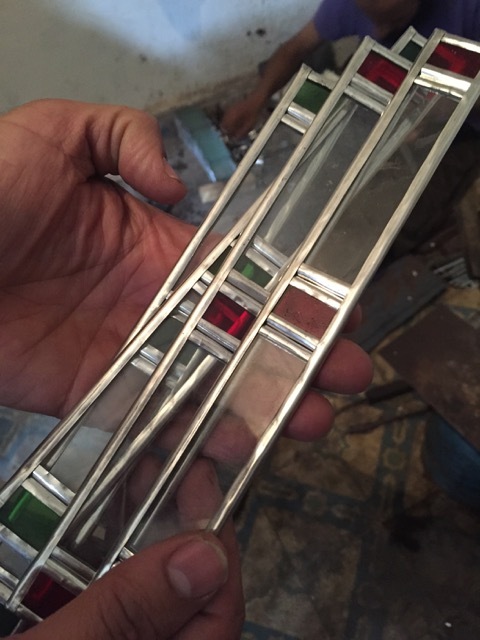 Now ready to be soldered together into the sides of the lantern. The final product before it is oxidized and polished. Crafting Brass Lanterns: the hand saw method. 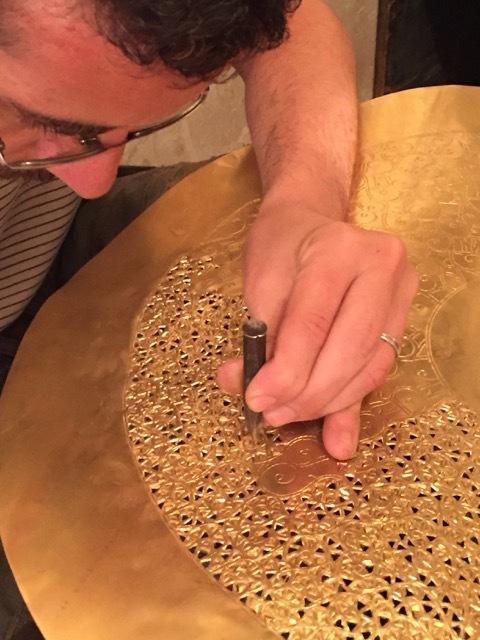 An artist designs the pattern which is to be glued to the brass so the craftsman can cut the design. 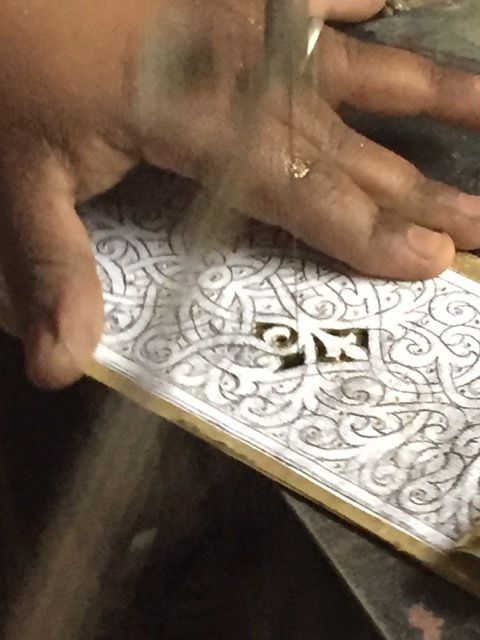 Each piece is painstakingly cut by hand with an extremely fine saw which snaps often. 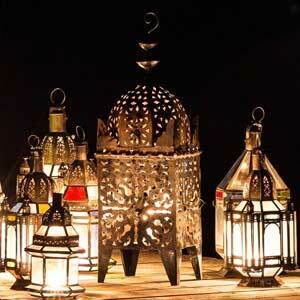 This is part of the reason that lantern created in this style are so much more expensive than others. They are worth it!! This is the most time consuming process of making lanterns. The workmanship is outstanding. 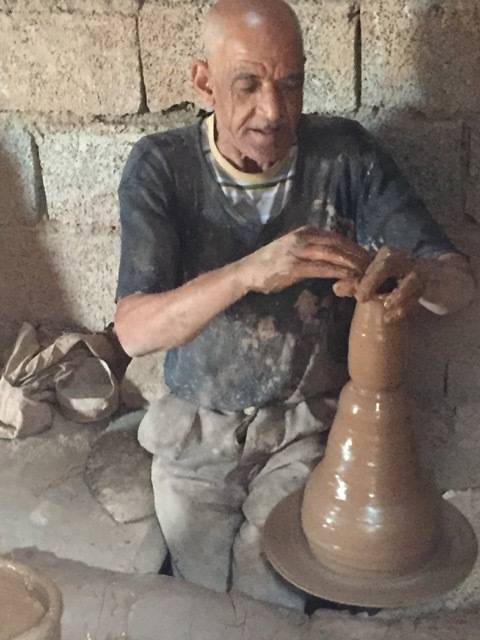 The master potter pumps out pot after pot in so many different styles it makes you dizzy! 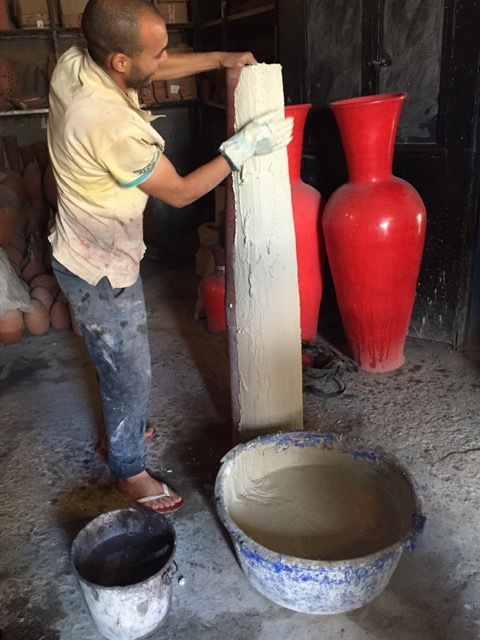 This is the stucco method of painting pottery in Morocco. Much of it is beautifully decorated with metal. 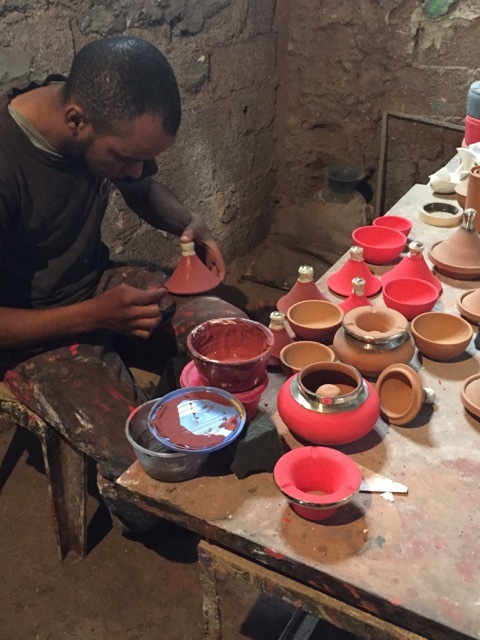 This is very old traditional method of coating pots called tadelakt. 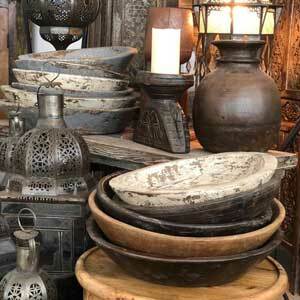 It is commonly used in the stunning bathrooms of Moroccan riads. The lime coating and dye is rubbed in with a smooth river stone with gives it the finish commonly referred to as "smooth as silk, but hard as stone". 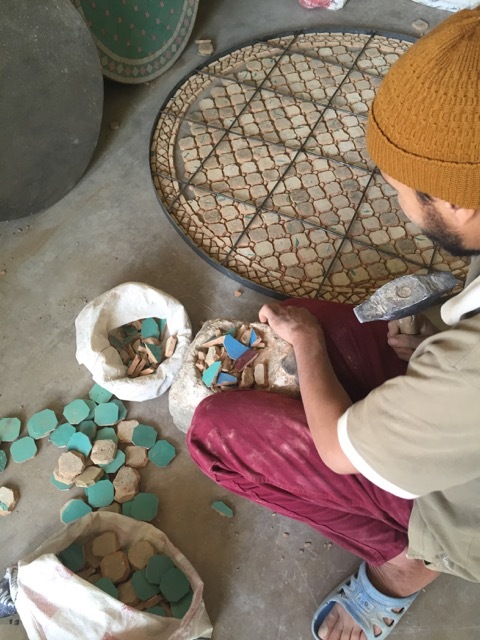 Each tile is chipped into shape with a hammer. 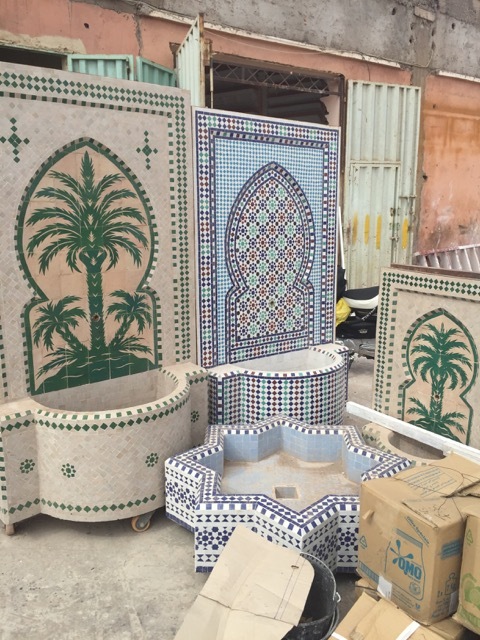 The tiles are placed into position and when finished, cement is poured over the top. The finished product. They create amazing fountains and tables without the use of any machinery. 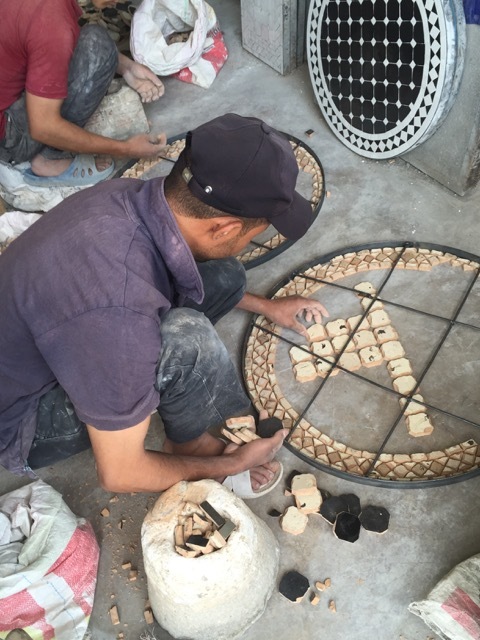 Even the tiles are made by hand. 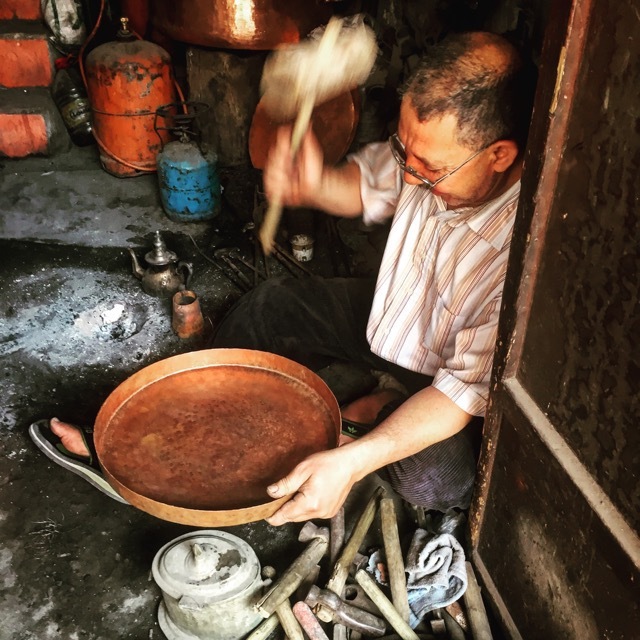 Keeping traditions alive and providing employment around the globe.